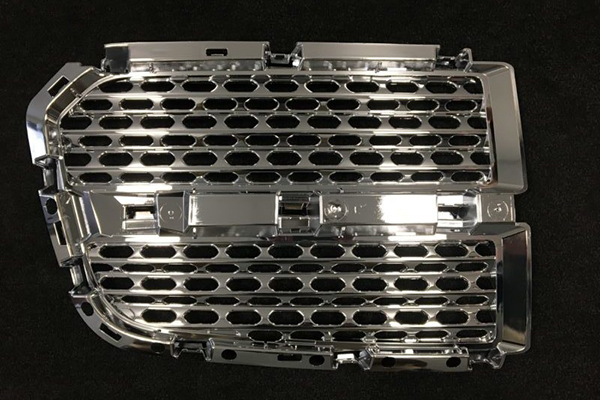 Lapeer Plating and Plastics (LP+P), a manufacturer of Class A, high-visibility components for the auto industry, today announced it has formed a new management team and a strategic vision to be the supplier of choice in the markets it serves. In turn, the company, based in Lapeer, launched a new website (www.LPP-inc.com) to better market its products and processes. LP+P’s 135,000-square-foot facility in Lapeer includes injection molding, electroplating, painting, and assembly operations. New products can normally be tooled, tested, and placed into mass production in under six months. As a direct or tiered supplier, LP+P’s customer base includes U.S., German, and Japanese OEMs as well as Tier 1 suppliers. The company has 350 emoployees. Harlow joined LP+P as CEO in October 2017. He previously served as president and CEO at Ricardo Inc., which has a large operation in Van Buren Township, and spent 25 years at General Motors Co. where he had a variety of executive roles in finance, engineering, powertrain, and strategy both in the United States and China.